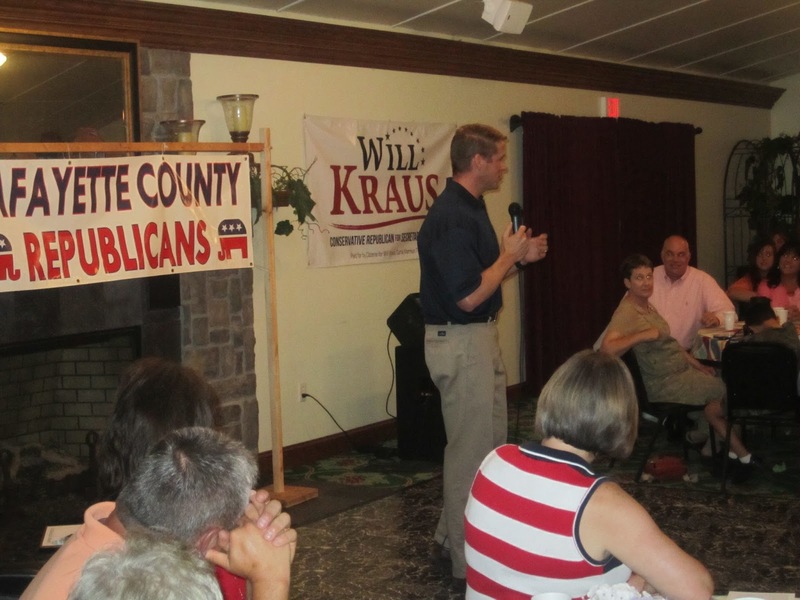 We had a great time at our Summer Republican Picnic BBQ in Lafayette County. Here's a recap of this wonderful evening as guests enjoyed delicious food, special entertainment and impressive speakers. Summer BBQ Picnic July 16th inside LaBella Winery in scenic Lafayette County, Missouri. 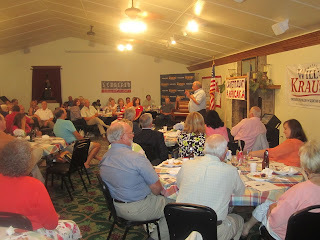 You just can't beat summer picnics, and we had a blast at ours last Thursday night, July 16th at LaBella Winery near Wellington, Missouri. 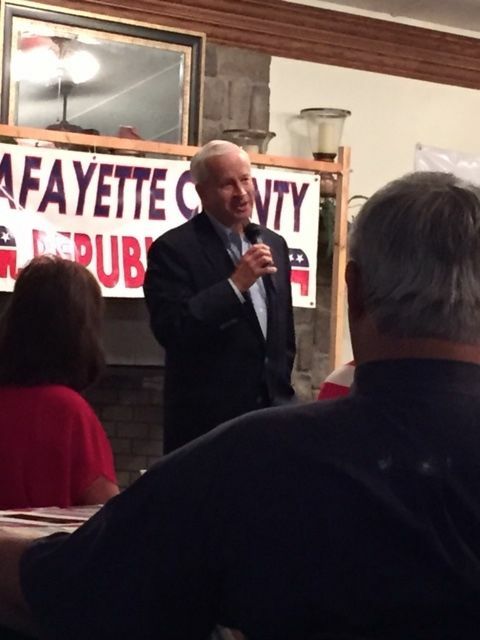 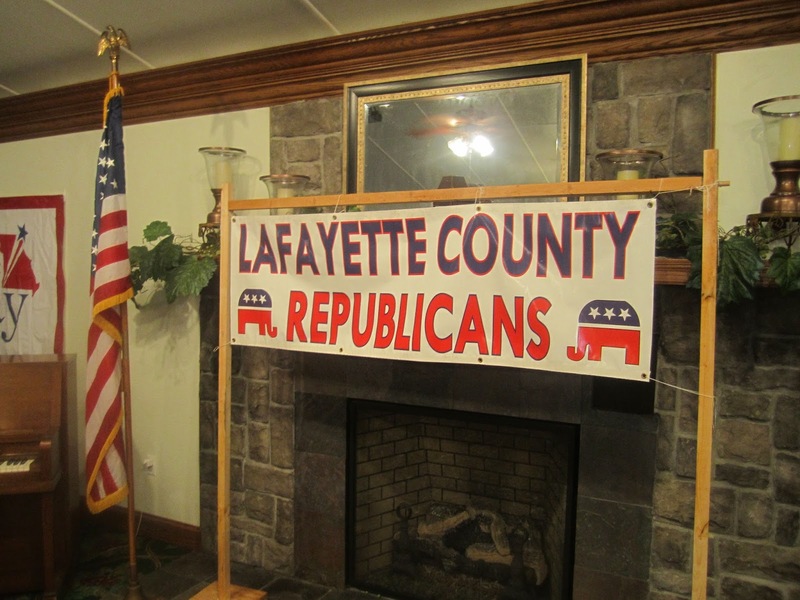 The event was co-sponsored by the Lafayette County Republican Central Committee and the Federated Republican Women's Club of Lafayette County. 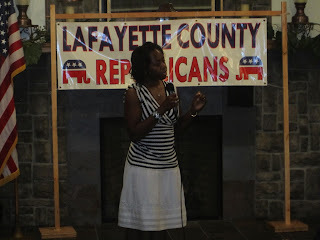 • Enlightening and interesting talks by an extraordinary group of candidates. 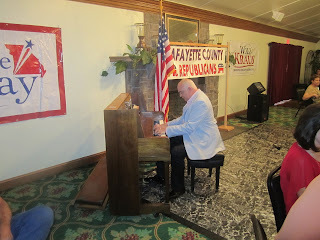 • Rousing ragtime piano music played by John Hancock, chair of the Missouri Republican Party, who also gave a short address on the importance of working together to win in 2016. 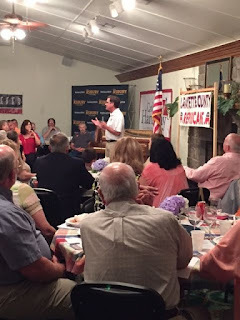 • And, indeed, it was a special evening as we enjoyed fun and fellowship with more than 100 Republican friends and guests. 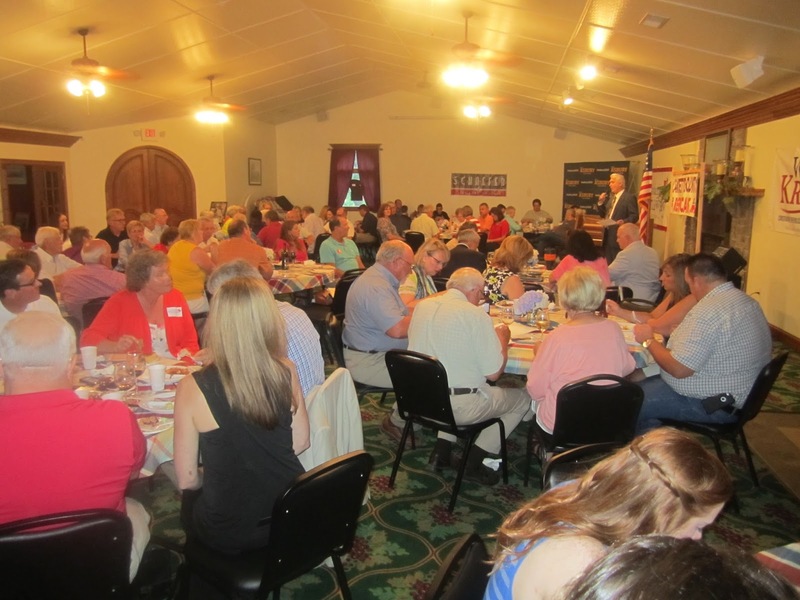 Attendees savored a delicious carry-in dinner including desserts galore and BBQ brisket entree that was catered by Nadler's of Wellington. Most importantly, we were honored to host several statewide candidates as well as our own state representative and state senate candidates who each spoke to the group. 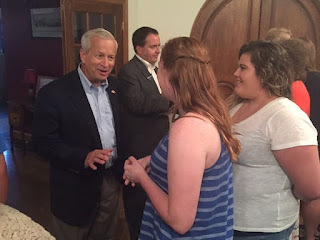 • Running for Governor --Catherine Hanaway, John Brunner, and Randy Asbury's wife, Connie Asbury, who filled in for her husband who was attending another Republican event. 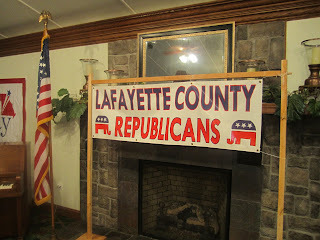 • Running for Lt. 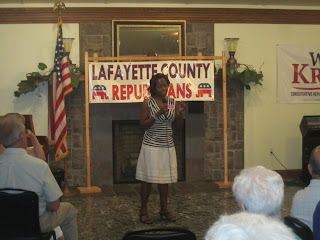 Governor--Bev Randles. 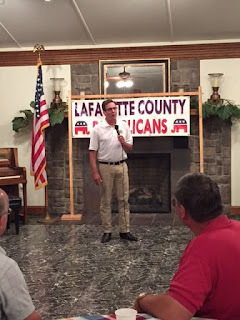 • Running for Attorney General--State Senator Kurt Schaefer. 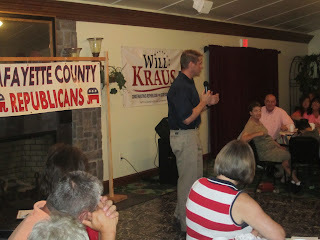 • Running for Secretary of State-- Jay Ashcroft and State Senator Will Kraus. 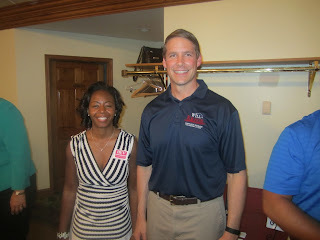 • Running for State Senate District 21--State Representative Denny Hoskins, Speaker Pro-Tem of the Missouri House. 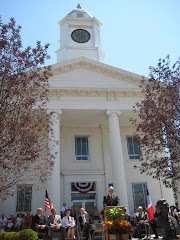 • Running for State Representative District 53--incumbent State Representative Glen Kolkmeyer. Marlene Strodtman, local FRW Women of Tribute, for offering the table prayer and to Judge Russell Kruse, associate circuit judge in Division 2, who led us in the Pledge of Allegiance. 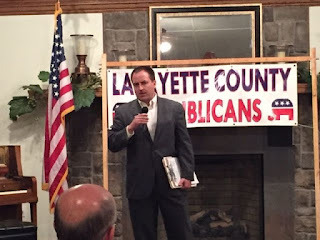 We would also like to thank Mark Anthony Jones, chair of Jackson County Republican Central Committee, for introducing our speaker John Hancock. 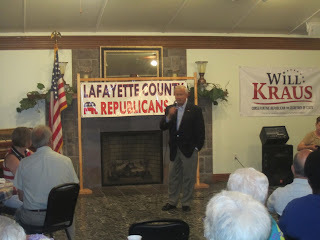 Thank you to LaBella Winery for their hospitality and use of their beautiful facility. 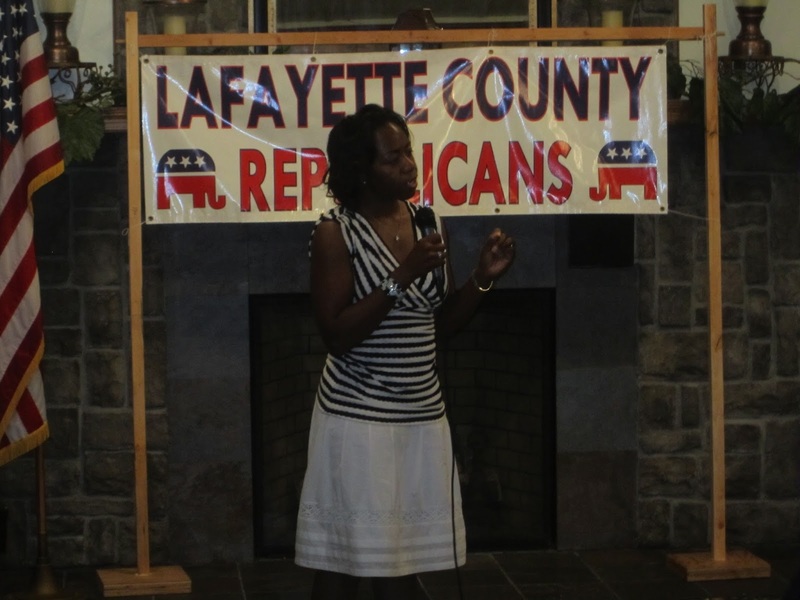 We are grateful to all who attended from Lafayette County, as well as to those from other counties, to county and state elected officials, state committee members, and to our great volunteers who attended and who also worked hard to make this event so successful. 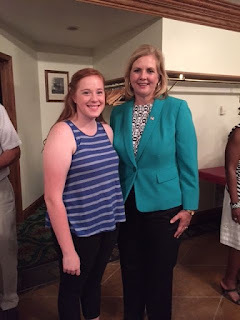 Catherine Hanaway, candidate for Governor, shown with Molly Swift (on the left), the Breckenridge Scholar for the 5th Congressional District Federated Republican Women. 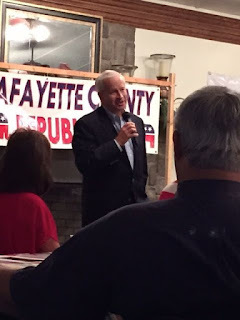 candidate for Secretary of State. 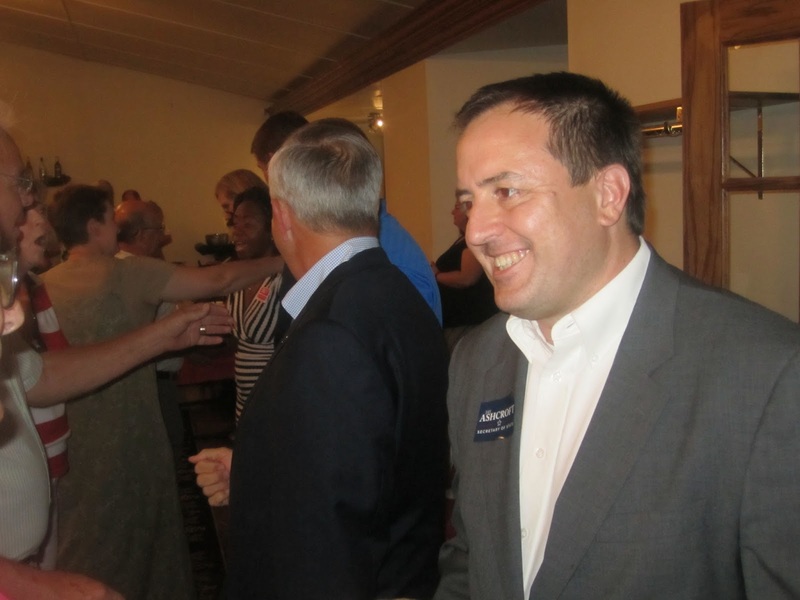 John Brunner has formed an exploratory committee for the Office of Missouri Governor. 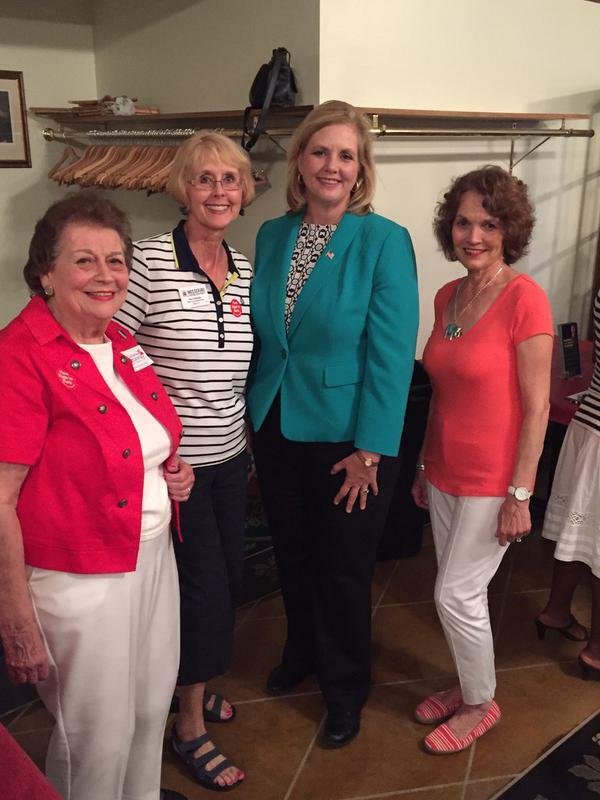 Federated Republican Women greet Catherine Hanaway for Governor--from left, Marlene Strodtman, Kay Hoflander, Catherine Hanaway, and Lana Crain. From left: State. 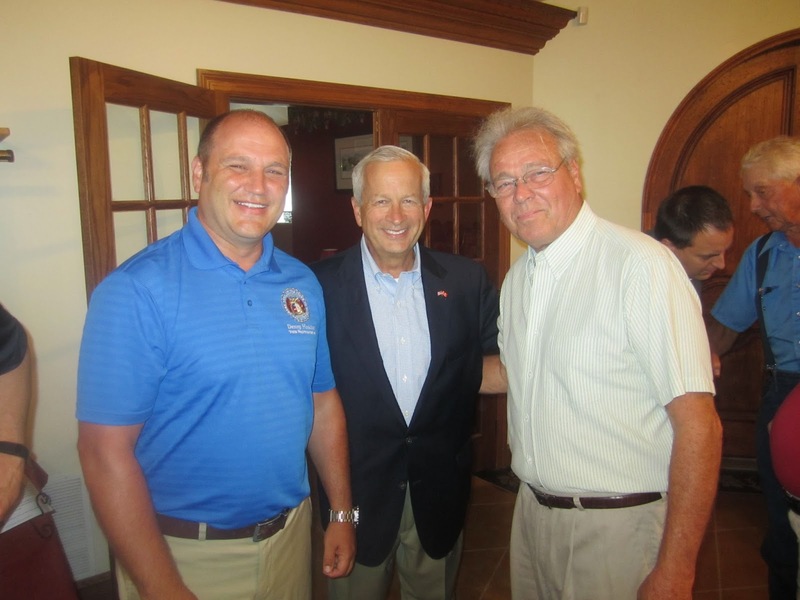 Rep. Denny Hoskins, candidate for State Senate District 21, with John Brunner and former State Rep. Mike McGhee who was term-limited out in 2012 after serving his district (including Lafayette County for eight years). Rep. Glen Kolkmeyer addresses the packed house at LaBella Winery. John Brunner greeting guests in dinner line along with Jay Ashcroft. 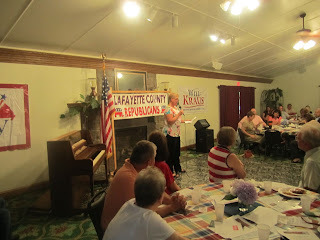 Connie Asbury speaks for her husband Randy Asbury for Governor. 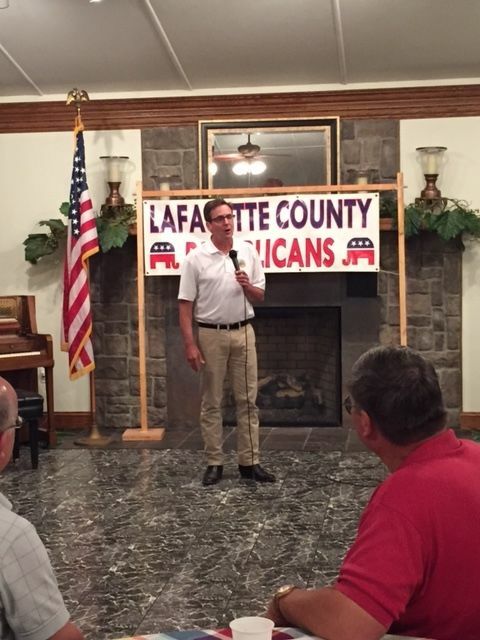 Sen. Kurt Schaefer explained recent court decisions in Missouri. 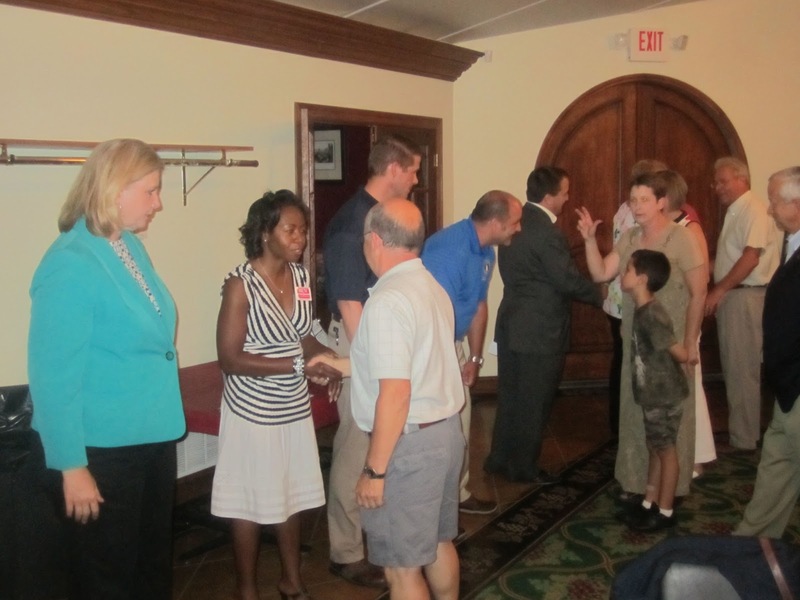 Candidates enjoyed visiting with guests as they formed a serving line. 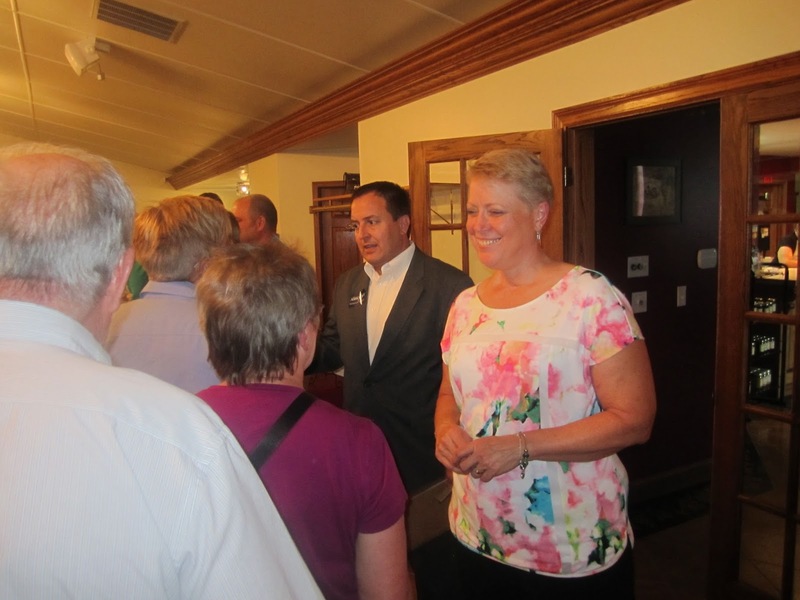 Catherine Hanaway, Bev Randles, Will Kraus, Denny Hoskins, Jay Ashcroft greet guests in the serving line. Mark Anthony Jones, chair of Jackson County Republican Committee, introduces John Hancock. 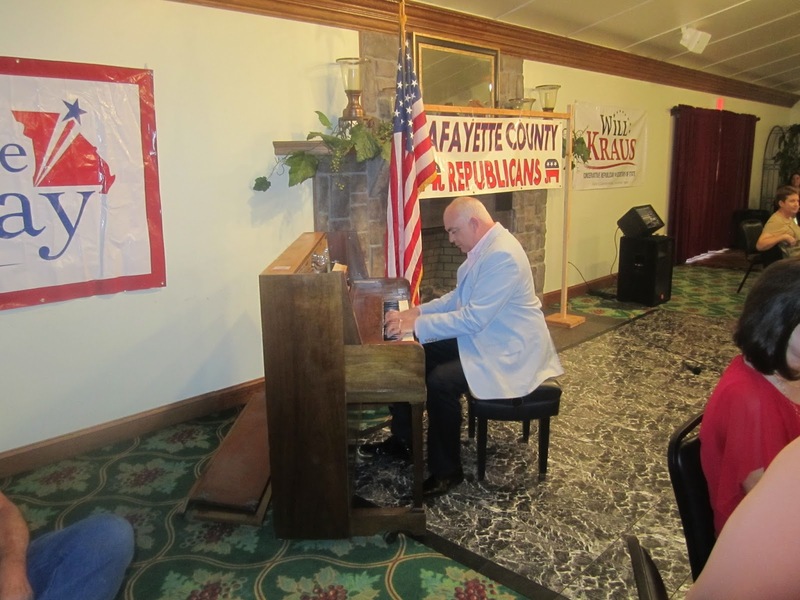 Associate Circuit Judge Russell Kruse introduced before he leads the group in the Pledge of Allegiance.